Mill Place Apartments in Orangeville, Ontario, with their rich character and focus on quality and safety, are the first industry certified apartments for rent in Orangeville. The peaceful setting and the industry's seal of confidence make our Orangeville apartments stand above the rest. Large, spacious executive size suites ideal for seniors and professionals requiring more space. 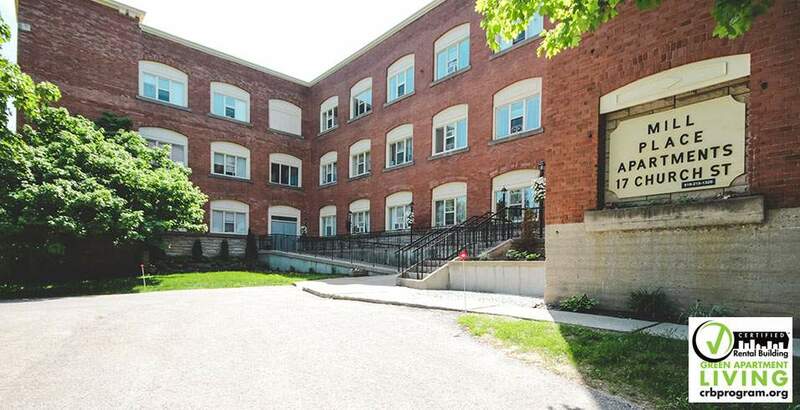 Old Orangeville mill converted into apartments for rent, each with its own unique layout. Red brick and cast iron lend character to this certified rental building. The great Walk Score of Mill Place Apartments confirms easy walkability to all amenities, whether its downtown or the local Farmer's Market. Adult lifestyle prevalent in the building.